This book is a wonderful tool to help children learn about the chronological flow of world history and God's faithfulness in history while doing activities at their own level. 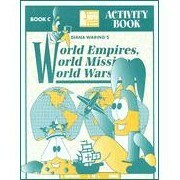 The younger children use this book while the old children use the World Empires, World Missions, World Wars Study Guide. Includes historical pictures to color, Bible verses to read and discuss, fascinating folks and exciting events, annotated books for children, maps, mazes, crafts, science, experiments, recipes, crossword Puzzles, word scrambles, coded messages, word searches, silly songs, goofy games, rhymes and acting-up history. 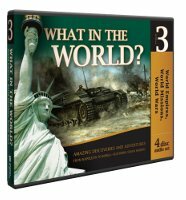 The 3-CD set contains more short vignettes of history, short biographies of fascinating people, and short descriptions of incredible events that relate to Vol. 3, World Empires, World Mission, World Wars.